Few understand how master slides, themes and designs really work to produce slides that are consistent and legible. A PowerPoint course saves many hours of frustration as this satisfied user demonstrates. 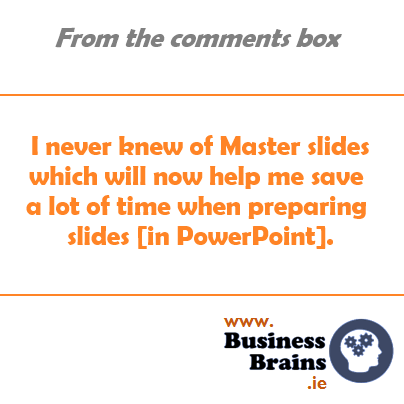 "I never knew of Master slides which will now help me save a lot of time when preparing slides in PowerPoint." What’s tripping you up each time?